Is That an Elephant in the Garden? 1 Elephant Ear Bulb 'Mammoth', shovel, soil. Find a location with partial shade/ partial sun. Dig a hole (2x the height of the elephant ear bulb). Top of the bulb should be about 2" (5 cms) below soil level. Place bulb in ground, flat side down (pointed end up). Watch the huge leaves grow up to 3ft (90 cm) long and wide. 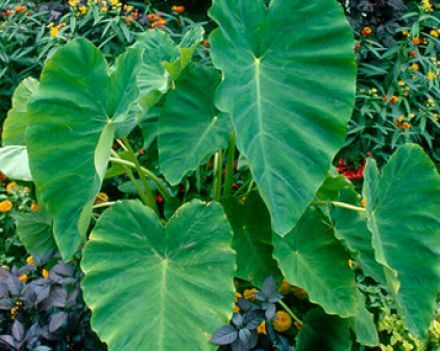 Elephant Ears can easily be dug up in the fall (before the first frost). Plant in a large container (no drainage hole needed) and enjoy as an indoor plant. Next spring, either transplant outside or keep as a house "pet".